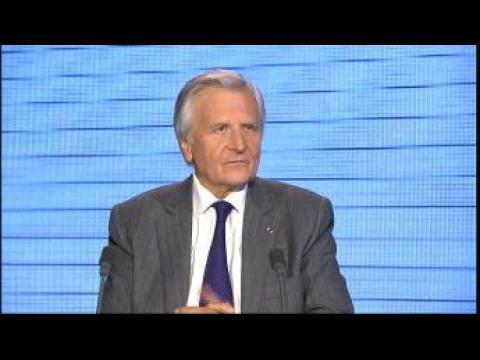 Jean-Claude Trichet, former president of the European Central Bank and ex-governor of the Bank of France, and now chairman of the Bruegel think-tank is our guest. He talks about the French Yellow Vest movement and President Emmanuel Macron’s “great national debate”. He also speaks about the upcoming European elections, which the United Kingdom will now formally have to prepare for amid the uncertainties linked to Brexit. Markus Karlsson talks to the Former President of the European Central Bank, Jean-Claude Trichet. He's been billed as one of the key architects of the European single currency. He is now the chairman of the influential think-tank, the Bruegel Institute, and also a member of the board at Airbus. Christope Robeet speaks to Jean-Claude Trichet, former president of the European Central Bank. Jean-Claude Trichet is one of the key architects of Europe’s single currency, a man who knows better than anyone what needs to be done to fix the euro. He discusses the action taken by his successor, Mario Draghi, in order to stem the debt crisis. SYDNEY (Reuters) - Asian share markets bounced broadly on Monday as investors dared to hope for both progress at Sino-U.S. trade talks in Washington this week and more policy stimulus from major central banks. A man looks on in front of an electronic board showing stock information at a brokerage house in Nanjing, Jiangsu province, China February 13, 2019. REUTERS/Stringer ATTENTION EDITORS - THIS IMAGE WAS PROVIDED BY A THIRD PARTY. CHINA OUT. MSCI’s broadest index of Asia-Pacific shares outside Japan rose 0.9 percent, largely recovering from a sharp fall last Friday. LONDON (Reuters) - Signs that the Bank of Japan (BoJ) might scale back its monetary stimulus faster than expected sent tremors through bond markets on Monday, while European stocks and U.S. futures slipped as threats of further U.S. tariffs on China drained risk appetite. FILE PHOTO: People walk past an electronic board showing Japan's Nikkei average outside a brokerage at a business district in Tokyo, Japan August 9, 2017. 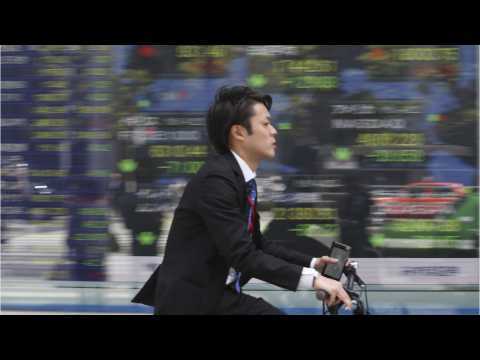 REUTERS/Kim Kyung-Hoon Europe’s bond yields climbed after a Reuters report that the BoJ was discussing modifying its huge easing programme sent Japan’s 10-year bond yield to a six-month high. Around the world Friday investors went into crisis mode after British citizens chose to leave the European Union in a stunning decision with far-reaching implications. In the sound heard round the world, U.S. stocks followed plunging global markets. The Dow ended the day down 611 points, or over 3.4%, while the S&P 500 lost 3.6%. The Nasdaq composite index dropped 4.12%, and into correction territory -- or down 10% from its recent high .